Gum grafting is a process that replaces missing gum tissue with tissue located somewhere else in a patient's mouth. 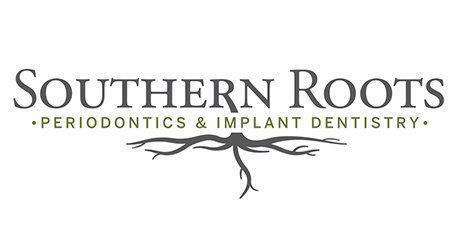 Dr. Brandon Frodge at Southern Roots Periodontics and Implant Dentistry has been performing gum grafting for nearly a decade at his office on Dresden Drive in Atlanta, Georgia. What Conditions Warrant Soft Tissue Grafting? Receding gums from periodontal disease often expose a tooth’s roots. This exposure can lead to sensitivity, decay, instability, or even tooth loss. A soft tissue, or gum graft, can stop further recession in the gums and in some cases can even cover exposed roots to protect them from decay. This process can be done for one or more teeth at a time, but often cannot be performed in multiple areas at the same time. What Types of Grafts Does Dr. Frodge Perform? Dr. Frodge has received extensive training in a variety of soft tissue grafting techniques. The most common of which are subepithelial connective tissue grafts, free gingival grafts, and allografts/ xenografts. What are Subepithelial Connective Tissue Grafts, Free Gingival Grafts, and Allografts? A subepithelial connective tissue (SECT) graft is one of three procedures used to correct gum tissue loss. This procedure derives its name from taking connective tissue from another area of the mouth and implanting it under the skin in the affected area. Both the grafted area and the donor area are sutured and dressed and the tissue is allowed to heal for 6-8 weeks. Free gingival grafts are generally performed on an area that is not visible when you talk or smile. Additional gum tissue can be placed without covering the tooth-root completely. A free gingival graft is performed by creating an incision in the affected area, removing a piece of gum tissue completely from another section of the mouth, and suturing it into place in the area to be grafted. Overall, the procedure lasts for around 45 minutes and can be performed under local anesthesia. When there is not enough healthy tissue to harvest a graft from the existing patient, an allograft may be used. An allograft istissue that is transplanted from one person to another. A xenograft is tissue that is transplanted from an animal donor to a person. Successfully used for over 150 years, with approximately 1 million grafts transplanted each year in the US alone, allograft and xenografts offer patients with limited amounts of healthy tissue to have soft tissue grafts that can help them achieve oral health.